Deirdre M. Daly, United States Attorney for the District of Connecticut, announced that BENJII CARR, 49, of New Haven, was sentenced today by U.S. District Judge Vanessa L. Bryant in Hartford to 30 months of imprisonment, followed by three years of supervised release, for his role in a check fraud ring. CARR was also ordered to pay $104,070.94 in restitution. According to court documents and statements made in court, between July 2010 and May 2011, CARR, Langston Xavier Neal and Brandon Key Bentley obtained stolen checks, recruited “runners” who cashed the checks, and altered the checks to list the runners as the lawful payees. The three individuals drove the runners to several Connecticut bank branches and directed them to enter the banks and cash the checks. The runners were paid a small part of the cash proceeds. Through this scheme, 39 checks totaling $114,102.34 were altered and presented to banks, and 37 of those checks totaling $104,070.94 were cashed by the banks. On December 2, 2014, CARR pleaded guilty to one count of conspiracy to commit bank fraud. Neal, of Charlotte, N.C., and Bentley, of New Haven, previously pleaded guilty to the same charge. On April 1, 2015, Neal was sentenced to 18 months of imprisonment. Bentley awaits sentencing. This matter was investigated by the U.S. Postal Inspection Service, along with the Connecticut Financial Fraud Task Force and the Branford, Madison, Middlebury, Milford, New Britain, New Haven, New Milford, North Branford, Waterbury, Woodbridge and Southbury Police Departments. 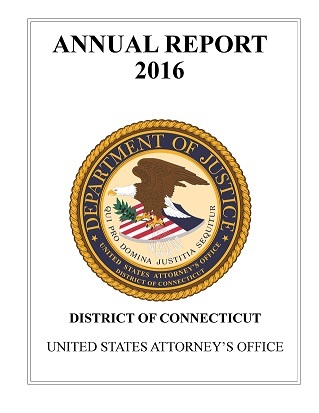 U.S. Attorney Daly also acknowledged the cooperation and assistance of the State’s Attorney’s Offices for the Judicial Districts of New Haven, Waterbury, Fairfield and Tolland. The case is being prosecuted by Assistant U.S. Attorney Henry K. Kopel.